The Rani is one of our favourites of the Black Beauty bunch. 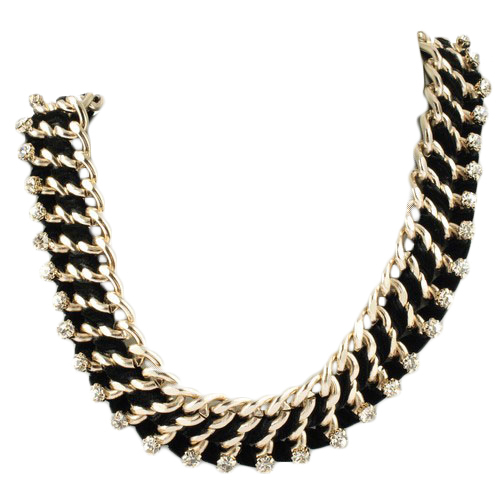 Featuring a woven design of gold-plated chain and noir fabric complemented by clear, sparkling rhinestones. For understated cool and everyday wear.